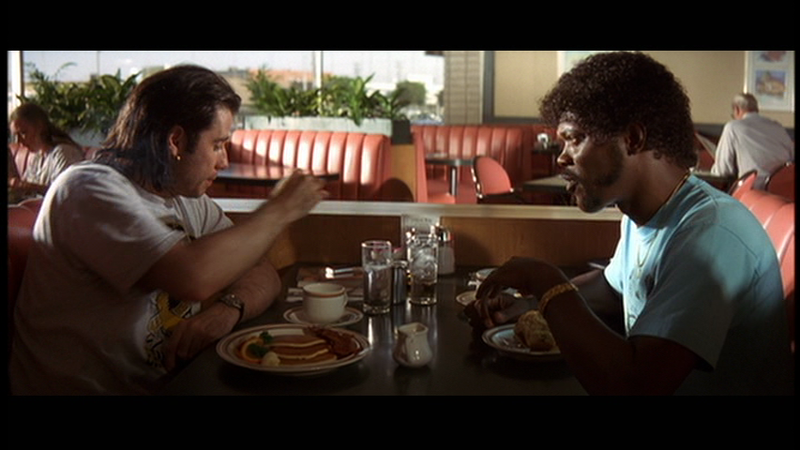 Jules Winnfield, the repentant gangster in Quentin Tarantino’s “Pulp Fiction,” when trying to explain why he was getting out of “the life” to his unrepentant partner Vincent Vega said his decision came after he “had what alcoholics call a ‘moment of clarity.’” The precipitating event for Jules’s life changing, and perhaps lifesaving, decision was his and Vincent’s escaping death and 6 bullets fired at point blank range. While not presented in the same understated irony as the “hand-cannon” scene in “Pulp Fiction,” General Conference 2012 provided the United Methodist Church, in an ecclesial sense, an equally shocking and surreal moment in time. Everyone going into the GC knew it was going to be a difficult process. Few if any thought it would end with so little few legislative accomplishments and no success in restructuring the denomination. While many are saying nothing was accomplished, I believe that, if we take the time to look back at the event(s) of GC, as Jules did with his life changing event, there is much that may still be accomplished by the GC 2012. As Paul received his vision when the scales of blindness fell from his eyes in Damascus and he was able to see his calling to be an apostle of Christ Jesus, GC 2012 revealed the UMC as it is, a body that is more divided and less trusting than believed or acknowledged before, and a body that can no longer continue the allusion that all is well and united. This General Conference, there were no legislative “victories” to camouflage the fear, anger, and divisions within the General Conference and the denomination. One of the chief symptoms of the above is the lack of trust among the various constituencies within the denomination. Elders mistrust Episcopal leaders, progressives mistrust conservatives and visa versa, and the American Jurisdictions don’t trust the Central Conferences and visa versa. Certainly these feelings have been present in prior conferences, yet this year there was no legislative action or other accomplishments to put a united face/mask on the Church at the Conference’s end. This year, there is no doubting that we are as we appeared, broken and operating amid substantial dysfunction including the reality that we are a worldwide body that does not know how to operate as a worldwide church. Is there any encouragement from belonging to Christ? Any comfort from his love? This entry was posted in Faith Shots, Film Shots and tagged General Conference, United Methodist Church. Bookmark the permalink. I too think the best thing to come out of GC in 2012 is the general recognition that we are a mess. This “going public” shows how systemically from the local church and on up line to the GC it all reflects the same thing…not healthy and many issues legislation cannot correct, which I think is important for UM’s to realize.